Cities worldwide are grappling to find space for domestic landfill sites, which have problems of finding adequate available land located close to urban functions but away from residents. Problems with odour, traffic generation, pollutants and suitable after-uses make viable alternative strategies for the future increasingly urgent. As the world looks for more innovative solutions that solve waste problems whilst producing renewable energy, we are starting to see some interesting practices globally. 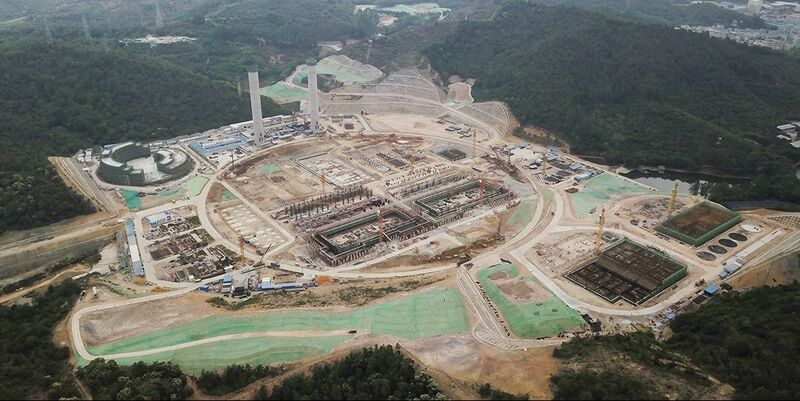 Shenzhen is now building the world's largest waste-to-energy (WtE) plant in the outskirts of city. 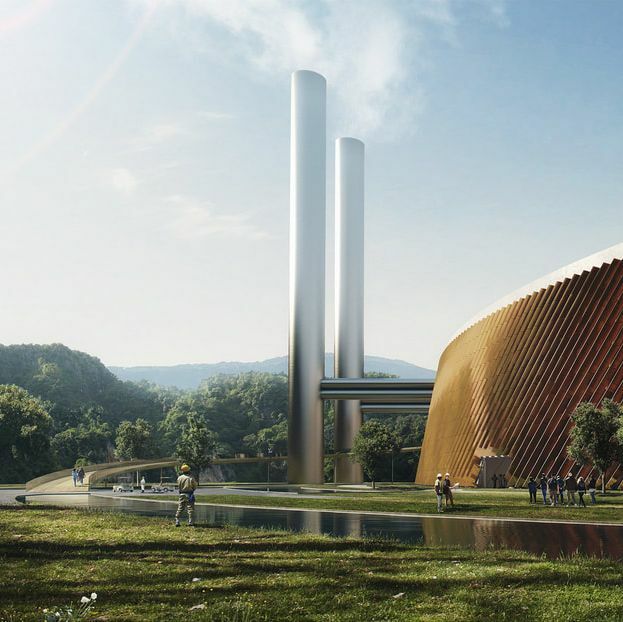 This plant, which uses advanced technologies in waste incineration and power generation can incinerate 5000 tonnes of waste each day and will be completed by 2020. With the continuous urbanisation and economic growth in Shenzhen, there is an increasing demand for reliable, sustainable and renewable energy. Meanwhile, the amount of garbage and solid waste generate in the city has soared with an approximately 7% growth rate per year. Therefore, this WtE project aims to build a clean, simple and modern technical facility to handle one third of waste produced by the local population and generate 550 million kWh every year. 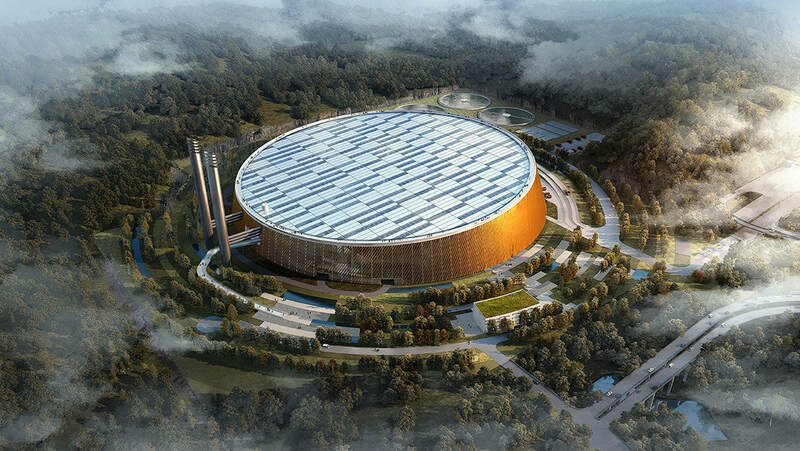 The design work of this waste plant is done by Schmidt Hammer Lassen and Gottlieb Paludan, proposing a huge circular form to minimize the footprint and reduce the amount of excavation required in comparison with traditional rectangular layout of industrial facilities. About two-third of the building's roof will be covered by 44,000m2 photovoltaic panels that provides its own sustainable energy supply. The benefit of this project goes beyond a clean WtE plant, and the government also intends to utilize it as a showcase of waste-to energy production to educate the public. People will explore the site with a surrounding park, a visitor centre and observation platform, where offer them nice tours of park walkways, inner plant and 1.5 km panoramic view from the rooftop. 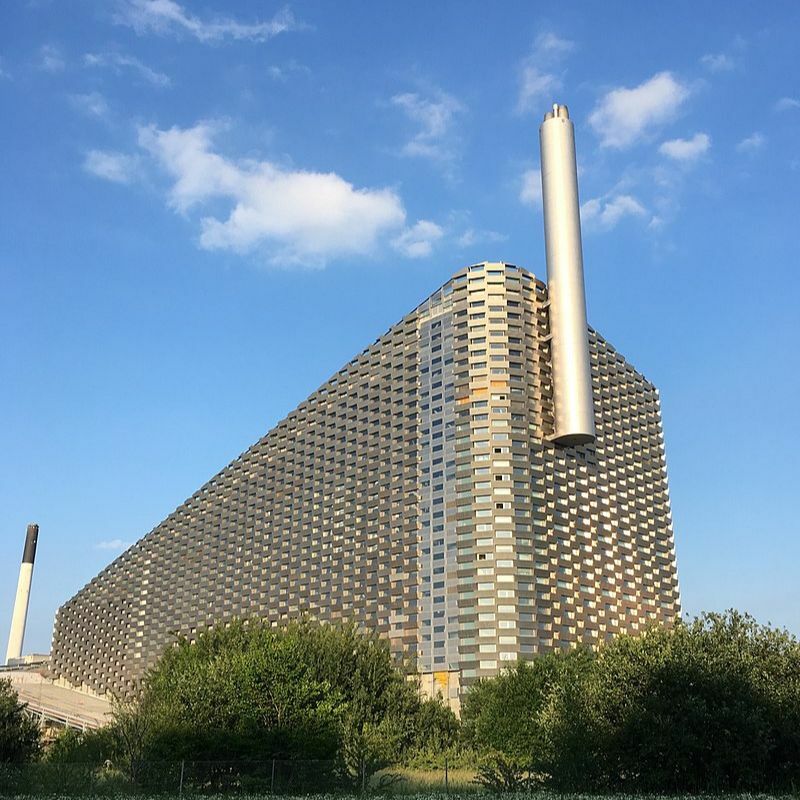 The Amager Bakke/ Copenhill Waste-To-Energy plant in Copenhagen is another building that changes people's perceptions about waste plants, and a key step towards Copenhagen’s goal of making the world’s first carbon neutral capital. As a combined heat and power producing plant, it is able to supply low-carbon electricity to 550,000 people and district heating to 140,000 households through incinerating 400,000 tonnes of waste every year. 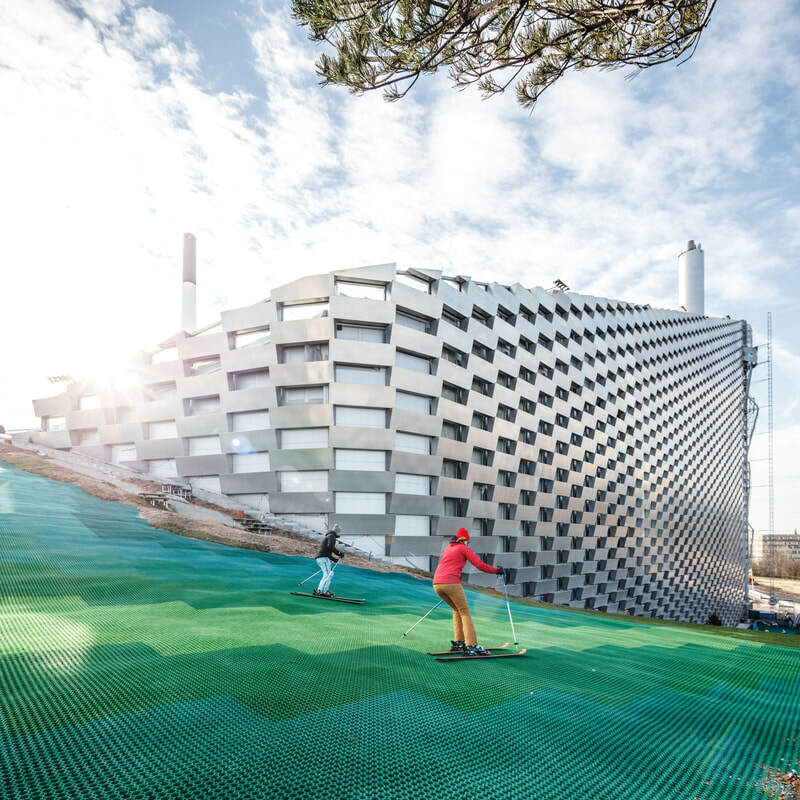 This plant is also multi-functional, innovative design made four integrated slopes that people can enjoy ski and climb 278-foot high walls from the roof. More importantly, as one of the city's landmark, Amager Bakke is integrated with its surrounding urban environment and located near the airport, opera and the Queen's Palace. Newly released photo shows the ski-slop is now covered by 10,000-square-metre green surface, and tested by the public on the preview day. 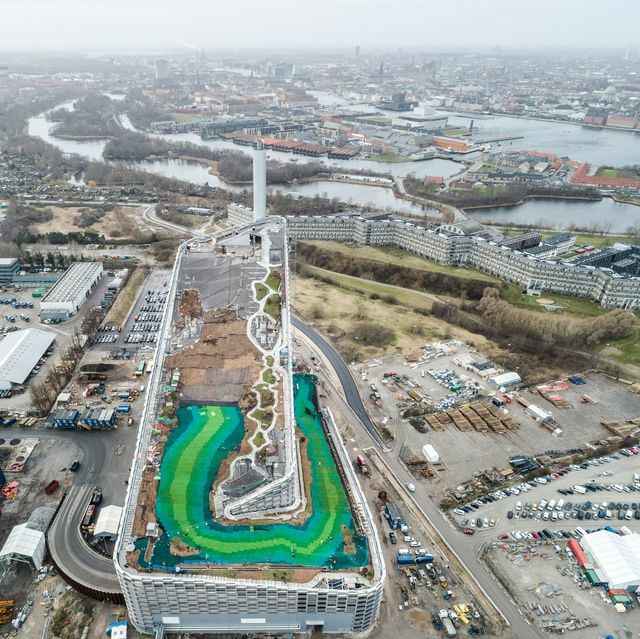 The recreational part of this plant will formally open this spring and expect receive 57,000 visitors in its first year, many eager to see the ski slope, as well as the world’s tallest artificial climbing wall. A more ambitious plan is carried out in Copenhagen as well. 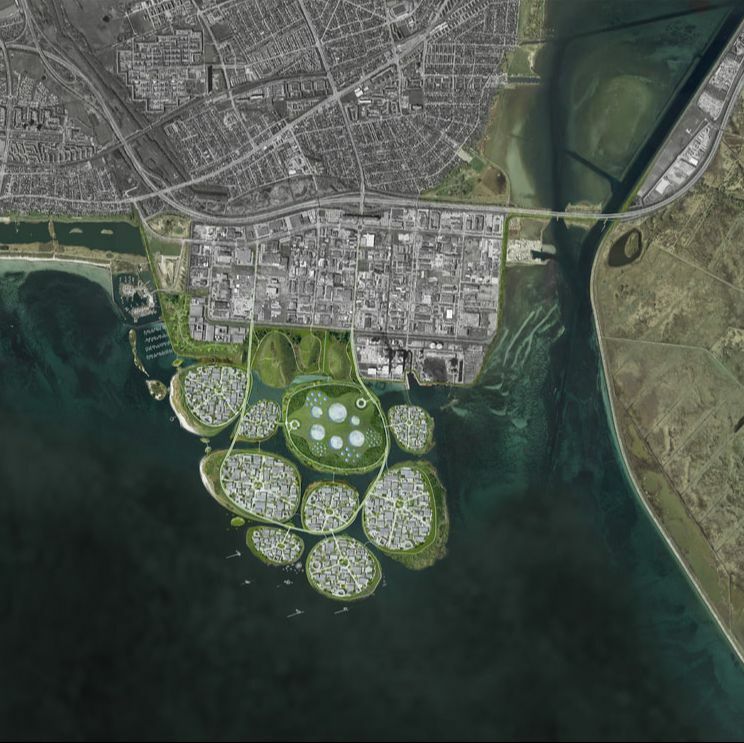 The project is named Holmene and will construct 9 artificial islands of f the coast of Copenhagen. This massive reclamation aims to address the city's demands for tech space, fossil-free energy production, flood barriers, and even public recreation space. According to Urban Power, the architecture and planning firm more than 170 acres of parkland is planned to encourage nature and wildlife to inhabit the islands. Additionally, the islands will build six megawatt wind turbines and a biggest waste to energy plant in Northern Europe. The focus of green energy of this project will benefit the city to reduce at least 70,000 tons carbon emissions annually through generating 300 MWh of fossil free energy. 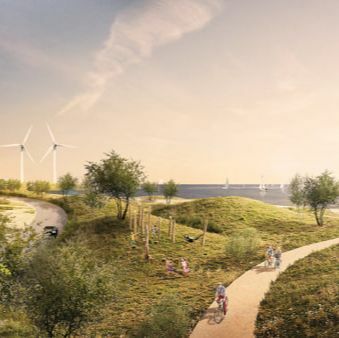 The project now needs to be approved by the Danish parliament, while the construction is expected to start in 2022 with the first inhabitable island becoming up and running in 6 years and to be fully completed in 2040. 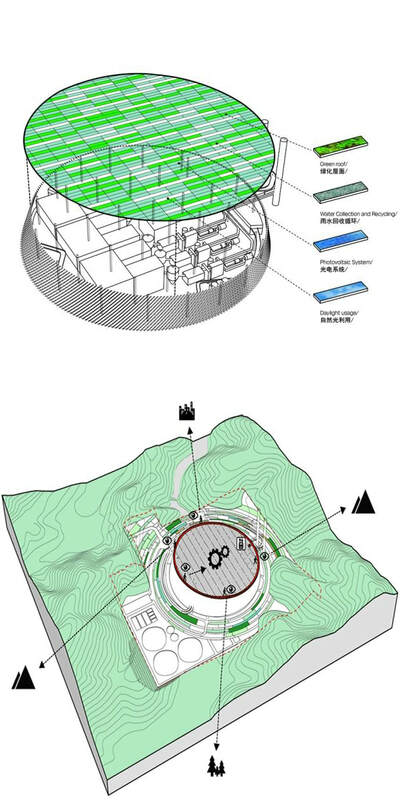 China's Pilot Project on "Zero Waste City"
Although waste to energy facility has an important role in supplying green energy and solving the increasing waste challenges, some of the places in the world now are looking for alternative solutions to generate no waste. 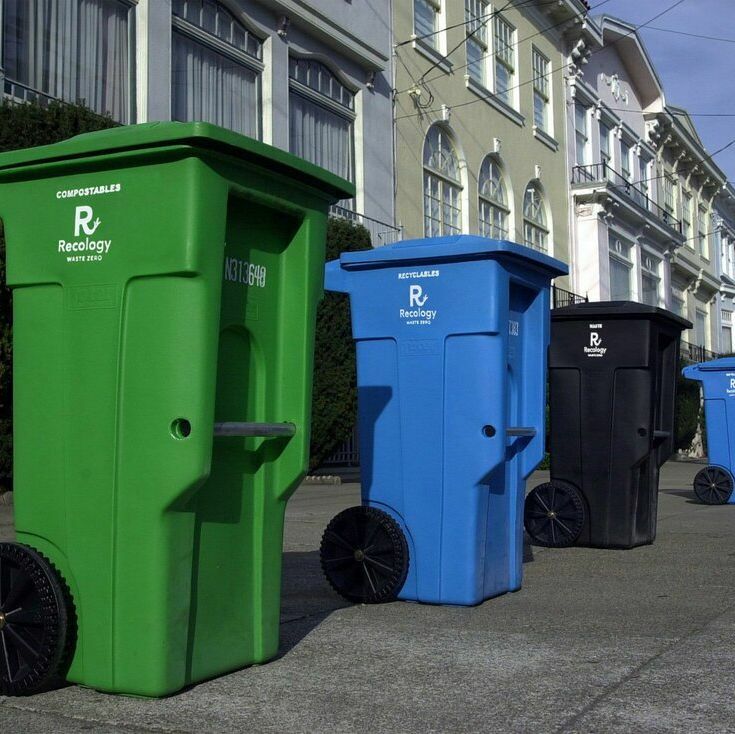 Cities such as San Francisco are committed to zero-waste through encouraging recycling and composting. 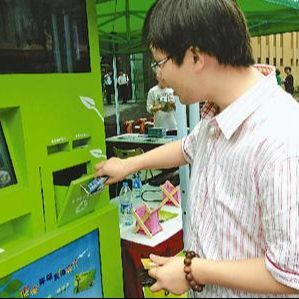 A local resident uses an intelligent waste bin in Shanghai. 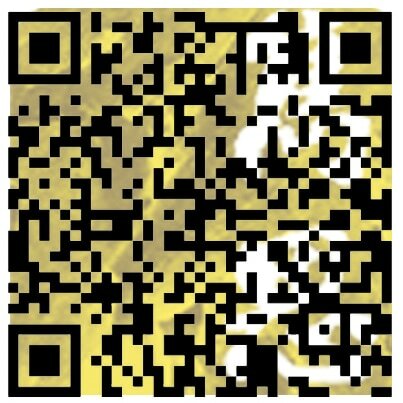 Image: People's Daily. Beginning of this year, the Chinese government (State Council) has also launched a pilot project, calling pilot cities to become the models of "zero waste cities" by 2021. According to this project plan, 10 cities will be shortlisted to minimize the amount of waste production, promote recycling and green production. 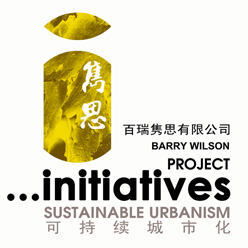 The initiative also aims for establishing an index system for "zero waste cities" which makes project result expandable to other cities. By June of this year, the 10 undisclosed cities will unify the core data-collection standards of the index system, and each city is required to provide its specific plans by the same deadline. The work of building a "zero waste city" for sure can be challenging, as it requires people to adopt new lifestyles and change their mindset, but we still see more cities move towards recycling lives.